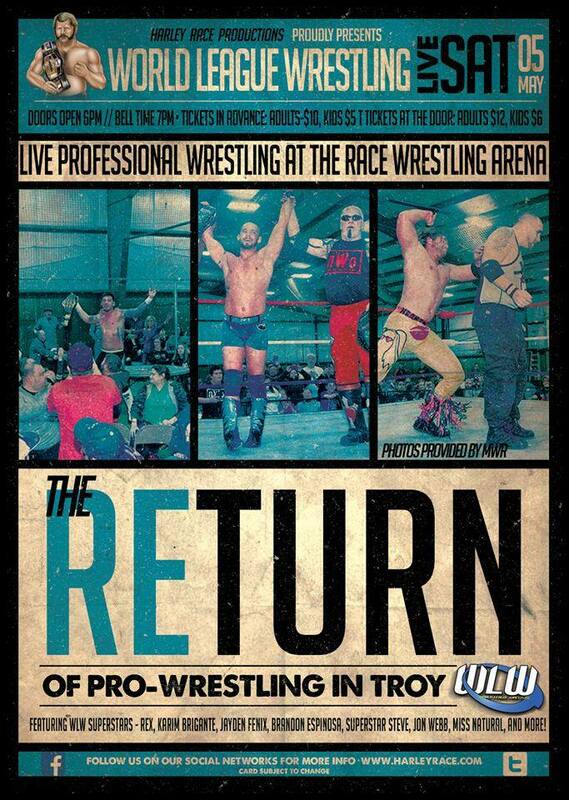 After a widely successful event with Night of Champions 3, WLW returns to its home arena in Troy, Missouri on Saturday May 5th! Tickets will soon be available as well as matches being announced in the near future. Rest assured though, WLW is hyped to be returning back home! This entry was posted on April 22, 2018 at 8:16 am	and is filed under Uncategorized. Tagged: Harley Race, Missouri Wrestling Revival, MWR, World League Wrestling. You can follow any responses to this entry through the RSS 2.0 feed. You can leave a response, or trackback from your own site.